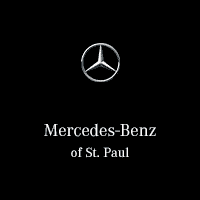 My wife and I have been buying and driving new and pre-owned Mercedes vehicles since 1981, most purchased from and serviced by the Twin Cities East Side authorized MB dealerships, including Morries. During this time (as was the case with a recently purchased 2014 GLK250...Our experience with sales, service and parts department support can only be described as outstandingly professional. For only the second time, in order to find a pre-owned that met our specific needs, we decided to search nationwide for a car...and ended up finding one in MN. During the search, Morries personnel assisted with MB documentation for candidates found, advised on technical and specification related questions, evaluated the final candidate...and in short...help us get the car we wanted. The following individuals at Morries are to be complimented for their efforts: (Only first names because list is long):Service: Justin(key), Joe, Rob, Tony, Kim, Sean(SA)/Shawn(Tech), JakeSales: Don (key), Angel, Julie, Jeremy. Glenn Parts: Roger(key), Andy , Don. THANKS all for your recent and past efforts to help us. Kudos! I was happy with my service at Maplewood Mercedes. My Service A took only an hour. I recommend them highly. The entire transaction was handled perfectly. Excellent! quick service. clean facilities. friendly people. fair price. what's not to like?! They did a nice job with details. They kept me informed.